From 2003 through 2014, Kevin's wife Rebecca became and served as the caregiver for her mother as she began to suffer from dementia. This condition was subsequently diagnosed as Alzheimer's. 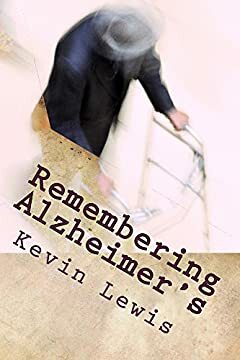 Two years after her passing, Kevin decided to put into writing the experiences and lessons that marked their journey through those years. It provides a simple chronological walk through this time, providing personal insights and advice in a conversational manner should anyone else find themselves serving in such a role. It also gives the view of a spouse who realized in retrospect what he was blind to and what he would have done differently.